Icaria CBD — Salt Design Co.
Icaria is a CBD oil company in Vancouver, creating hemp and coconut oil based CBD products. Icaria is providing CBD oil to all types of people and animals whilst educating on the benefits of CBD oil as a health supplement. 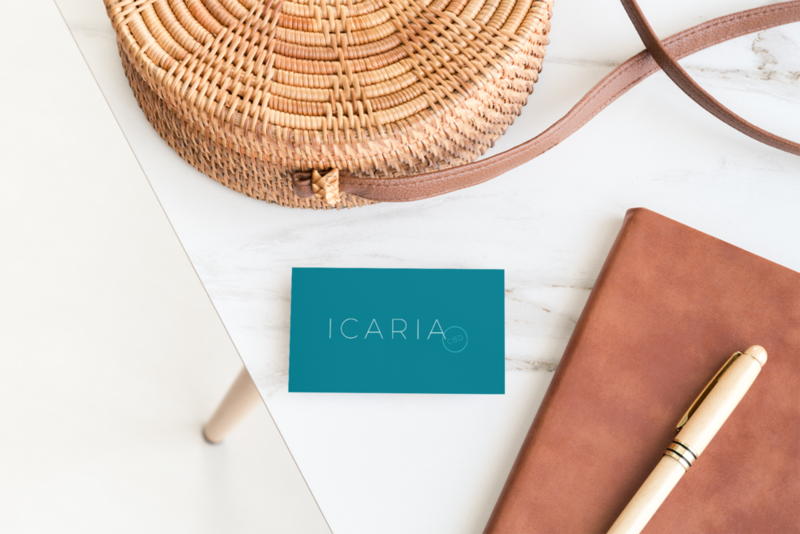 With a need for a refined logo that matched the company messaging and visuals we started working with Icaria on a new brand strategy that helped us to then update the brand fonts, colour palette, and logos. The overall goal was modernize everything, add in a polished and energetic palette and highlight CBD within the logo. Shop the Icaria CBD oil here and follow them on Instagram!